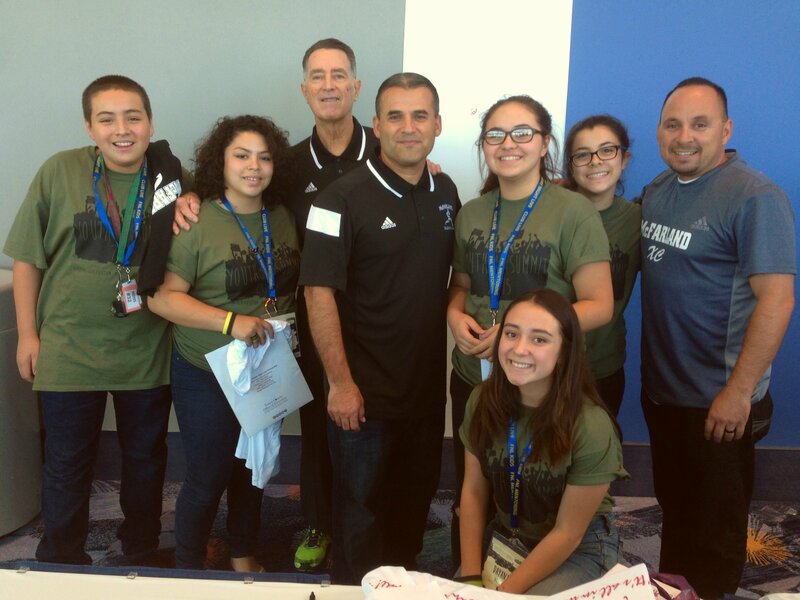 One of the largest youth-serving systems in the state, FNL gives high school students a powerful voice and the training to be active leaders in their communities. Adult staff supports teens with the leadership skills to tackle difficult issues such as alcohol and other drug abuse. CHD provides the youth a platform to drive change at the local policymaking level. Young students assess their problem, create and implement an action plan, and collaborate with school and community groups doing similar work in the county. In the process, FNL members gain life-long skills in public speaking, project planning, conflict resolution and time management. 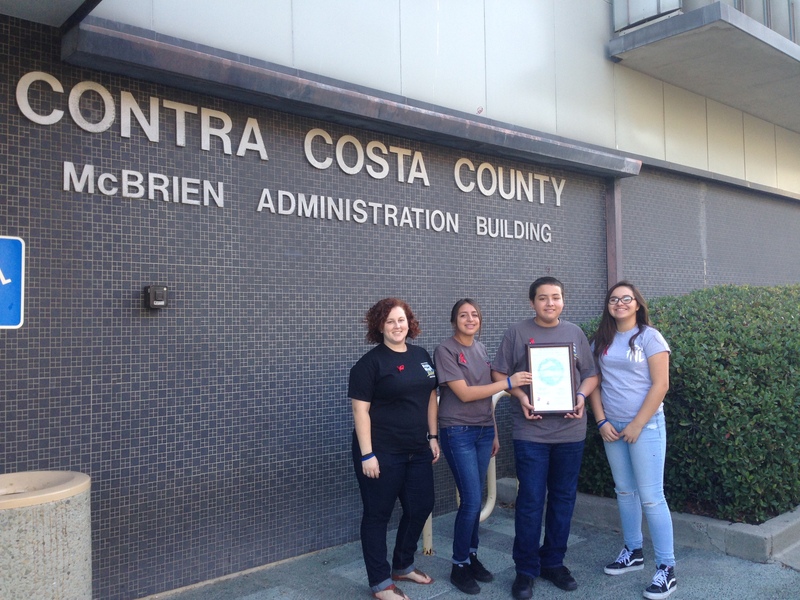 The program is supported by Alcohol and Other Drug Services, Behavioral Health Division of Contra Costa County Health Services. For more information, contact Danielle Butler at 925.349.7341 or at danielle@chd-prevention.org. CHD’s Friday Night Live (FNL) Program is trying to raise $1,000 to cover the cost of bringing 5 high school students from the Mt. 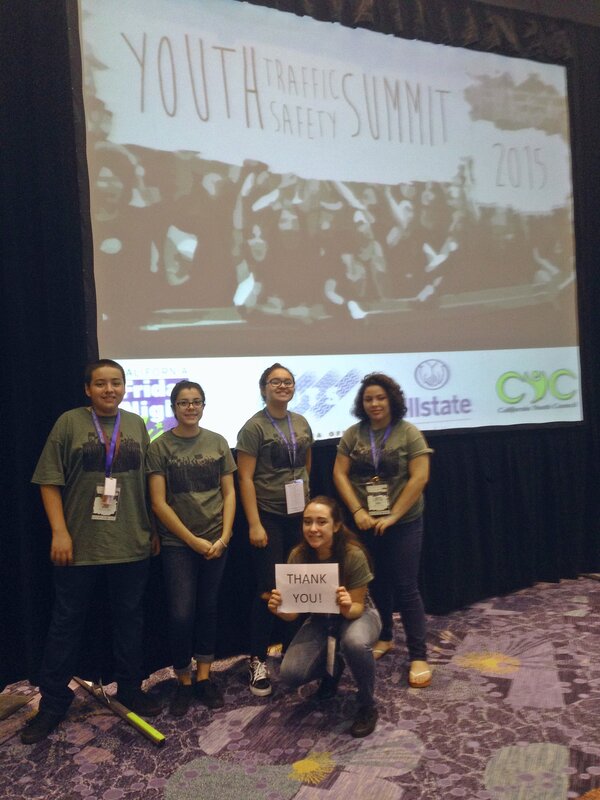 Diablo FNL Chapter to attend the Youth Traffic Safety Summit in Anaheim, California, on September 9-11, which is a gathering of FNL chapters throughout the state. 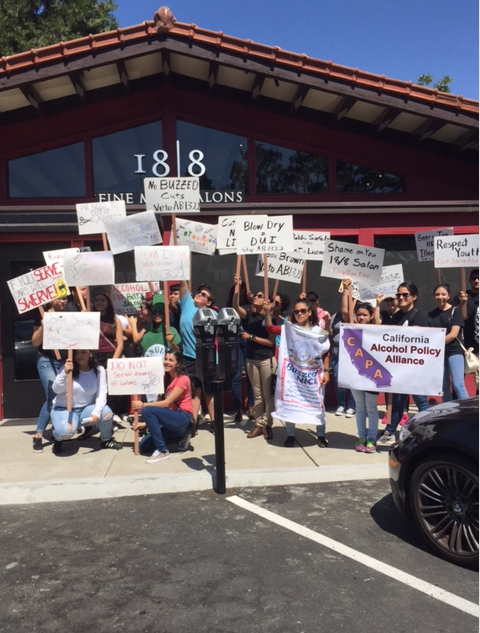 The members will be able to present to youth from all over California about the dangers of underage drinking and alcopops (supersized alcoholic beverages that are marketed toward youth). They will be able gain valuable skills at workshops and network to help better the way they address underage drinking. If they are unable to secure this funding soon these students will not be able to attend. Please donate any amount you can here. 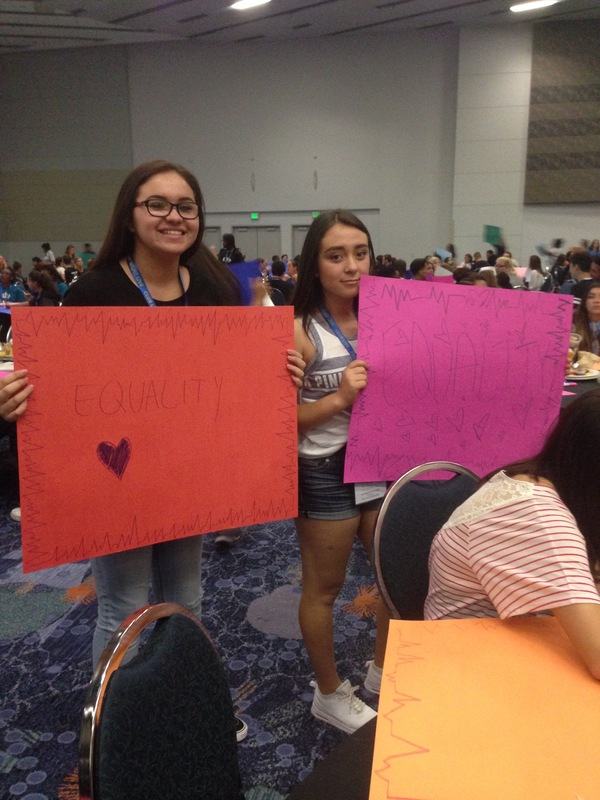 CHD’s FNL students had a wonderful time at the Youth Summit on September 12, 2015. They gained valuable experience at the workshops and it was all because of the generous donations received. Thank you to all who donated and supported our local youth in their efforts to continue to address underage drinking in their communities. 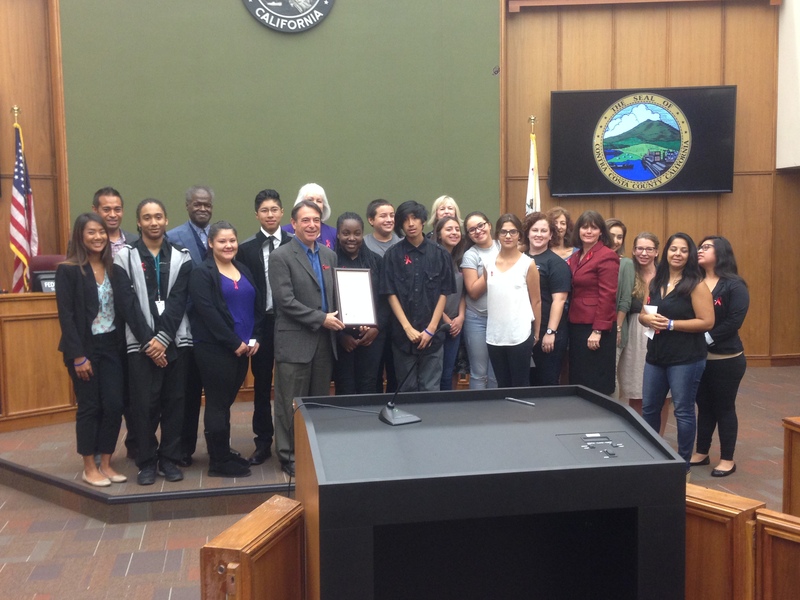 FNL Students Meeting the Real Members of "Mcfarland USA"
On October 13, 2015 CHD’s Friday Night Live students attended a Contra Costa County Board of Supervisors meeting to receive a proclamation declaring October 23rd-31st as Red Ribbon Week, which is an alcohol, tobacco, and other drug and violence prevention awareness campaign. They accepted the proclamation in conjunction with DROC (Discovering the Realities of Our Communities) and Richmond’s CHAA (Community Health for Asian Americans).